A dramatic and interesting award that will have your crowd magnetized! 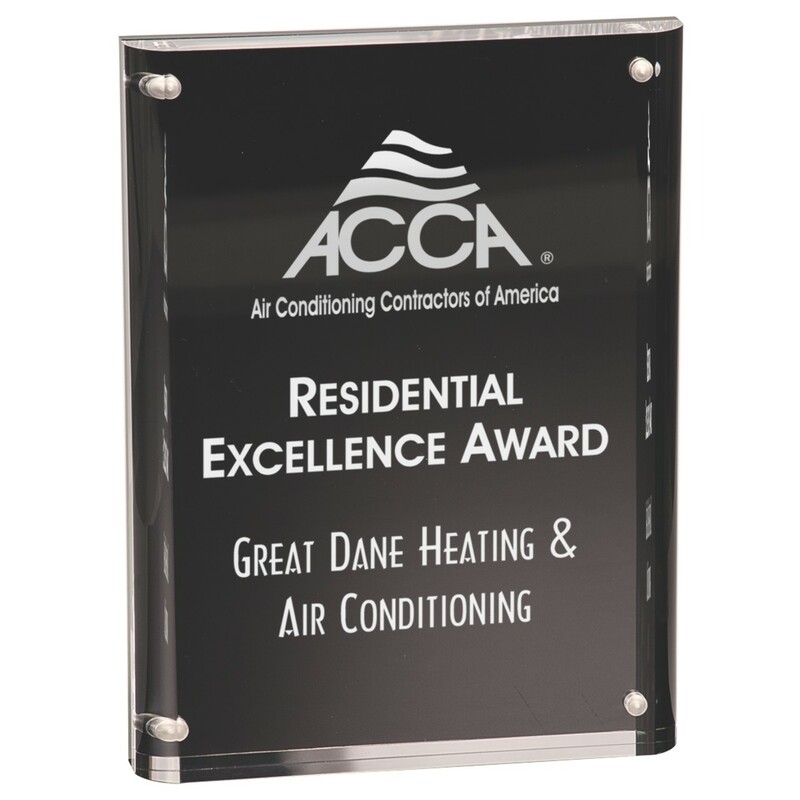 The Magnetic Black Acrylic Standing Plaque features a thin piece of black acrylic that magnetically sticks to a thick clear acrylic overlay. 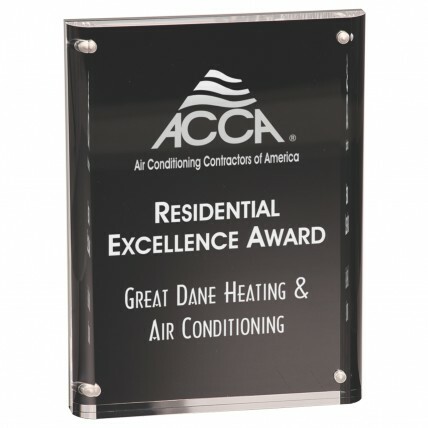 The clear overlay has rounded edges adding extra class to this plaque. Your free and personalized engraving will make this acrylic plaque a unique piece your office will love! Note: This award is self-standing on a flat surface and does not hang on a wall. S: 6", M: 7", L: 8"